Gostava de deixar aqui algumas das regras da The Elliot Wave Principle para quem quiser usar. Pessoalmente, acho as Elliott Waves uma inutilidade para trading ou investimento. 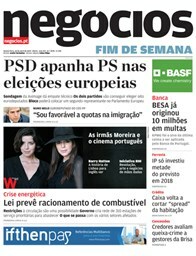 Nao e possivel, na minha opiniao, prever o que vai acontecer nos mercados usando esta teoria. A validade estatistica desta teoria nunca foi provada, nem nunca o sera porque as regras sao tantas e a subjectividade tal que e impossivel prova-la. The basic form of a wave is an impulse wave, with 3 waves in the direction of the movement, and 2 in a contrary direction. This is quite logic. To achieve both fluctuation and progress in linear movement we need five waves minimum, because one wave does not allow fluctuation and three waves don't allow progress. There are two modes of wave development: motive and corrective. Motives waves have a 5 wave structure, wile corrective waves have a 3 wave structure or a variation thereof. A Complete Cycle consists of 8 waves, where the motive phase is denoted by numbers, and the corrective phase by letters.